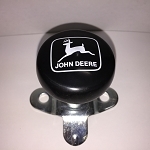 Brand New John Deere high back replacement Lawn & Garden Seat. 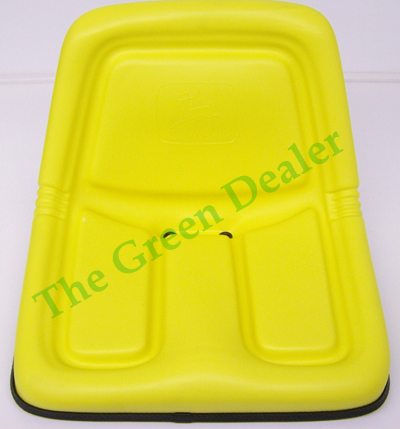 Heavy-duty, molded-yellow, vinyl cover for durability. This is a complete seat, it includes the metal pan and cushion with cover, it is completely assembled and ready to bolt in place. One to two inches of high-resiliency foam padding for user comfort. Formed, heavy-duty steel pan for durability. Installs easily at four bolting points for more rigidity. This Is A Genuine John Deere Part. I have a 1987 JD 318. The seat bolted on just like the original and feels good. Glad I found this seat. High quality metal seat,looks very ORGINAL,no plastic to break,the price at my local dealer here in NC was about 40 bucks higher, I have purchased 2 seats and will probably purchase more later on. Very nice replacement seat. Metal pan, drain holes and bolts up to the existing pivot plate to my 316 - thinking 1989 to 1990 model year.